He’s flexed his East Coast muscle: When Fultz committed to Washington from DeMatha Catholic in Maryland, it felt more like a one-off than the beginning of a trend. But with Hopkins landing Hameir Wright and Nahziah Carter in the last week, it appears another region of the country is now at Washington’s disposal. Wright is a four-star recruit who stands 6-feet-8 and was named Gatorade New York Player of the Year. Carter – also from NYC – is considered the 29th-best shooting guard in the country by Scout.com. He’s gotten players to stay: Noah Dickerson? He’s coming back as a Husky. Same with Matisse Thybulle, David Crisp and Carlos Johnson, among others. Despite Romar’s lack of recent success, his players still admired him. So it would have been understandable if they bounced after his ouster. His assistants have delivered: Shooting guard Jaylen Nowell – the 57th-best recruit in the country, per ESPN – could have joined fellow Garfield product Daejon Davis in decommitting from Washington. But he didn’t. And you can bet that had a lot to do with his relationship with Will Conroy, whom Hopkins kept aboard his staff. Former West Seattle star Nate Pryor was initially set to play for Cameron Dollar at Seattle University. 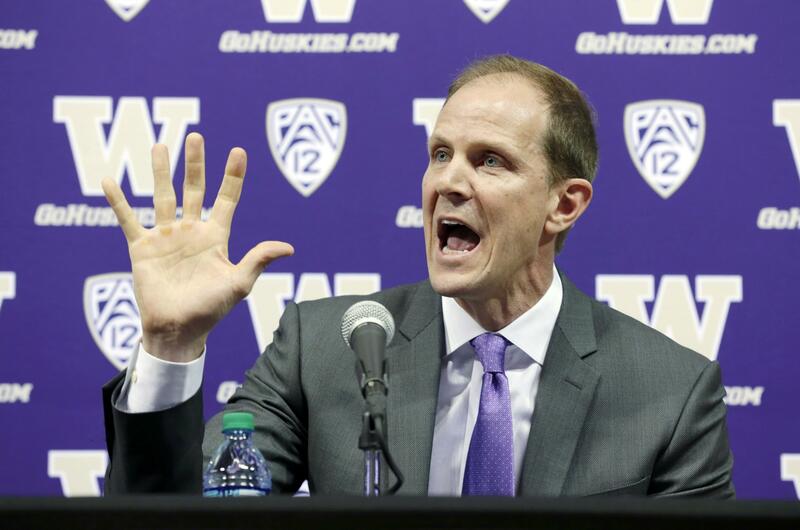 But when Dollar was fired and subsequently hired as a UW assistant, Pryor committed to the Huskies. Published: July 4, 2017, 5:05 p.m.